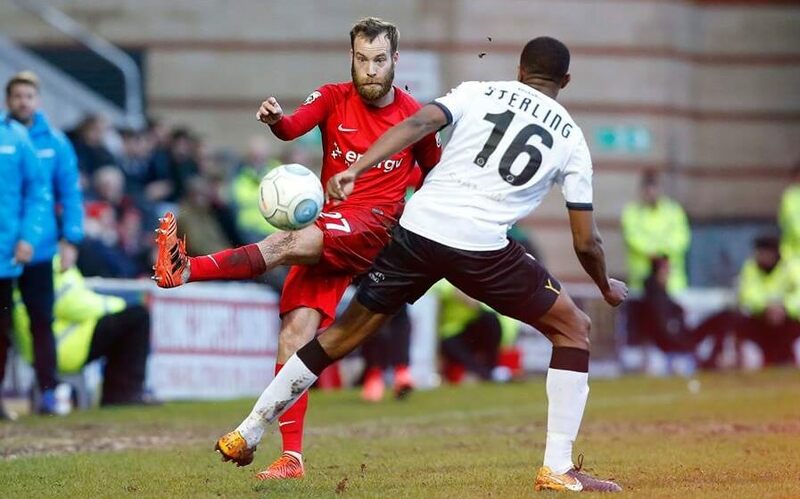 Leyton Orient lost 1-0 to local rivals Bromley as Bondz N’Gala was sent off in the 4th minute to ensure that the O’s finished the year with a defeat. In what has been a dismal year all in all with more managers than good performances new man in the hot seat Justin Edinburgh has Orient playing in a far more positive style. On a decent run and facing a Bromley side on a 5 match streak without a win, Orient had gone into the match as favourites with the bookies for pulling off another 3 points for the former Spurs player. However an incident as early as the 4th minute when Dagenham loanee Bondz N’Gala picked up a straight red card for bringing down George Porter as the last man. As a contest the game changed dramatically with forward David Mooney coming off to be replaced by Happe after just 8 minutes meaning Orient reverted to a much more defensive outlook. Despite the defeat Orient played well with renewed belief in the last month and could easily have snatched a draw but Bromley held out as Josh Coulson had three opportunities to bring the O’s level in the game. An attendance of 5,227 packed into Brisbane Road for the last game of the year in east London with the home team looking for revenge following Bromley’s 6-1 stuffing of the O’s on August 15, currently Orient’s worst defeat in the National league. The games first focal point came early as Joe Widdowson attempted to pass the ball back to Brill for the home team, but didn’t get anywhere near enough pace on it and Porter nipped in. N’Gala back from being ineligible for the hosts against Dagenham his host team looked to get back at the Bromley attacker, yet appeared to swing his legs around Porter and referee David Rock bought out a straight red. Bromley did nothing with resulting free kick however. With the O’s down on numbers Bromley dominated the early part of the game unsurprisingly and took the lead when Louis Dennis notched his 10th goal of the season after 22 minutes to make the most of Bromley’s advantage. Orient came back though and won a free kick in a decent position in the 33rd minute when Sutherland, who had recently been booked, brought down James Dayton. Dayton picked himself up and whipped in a brilliant delivery which Josh Coulson headed against the post before Bromley cleared. Josh Coulson went close once again as Leyton Orient rallied further seeing an effort cleared off the line while Alex Lawless forced a fine save out of Bromley goalkeeper David Gregory. It was another opportunity gone for the O’s, but Bromley were looking particularly dodgy from set-pieces as more chances appeared and for a side playing against the ten men, Neil Smith’s Ravens were not showing enough ambition and Orient’s confidence was growing by the minute. Craig Clay hit the bar as Leyton Orient pushed hard for an equaliser and with 9 minutes left Clay curled the ball in and Bonne, unmarked, headed over from six yards with only Gregory to beat. Then Dayton missed an opportunity with 5 minutes to go as the visitors held on to see out the victory. Despite Orient’s second half dominance. Defeat sees the O’s drop down to 19th in the table as Fylde climbed a number of places with a surprise 2-1 win against Maidenhead. Defeat makes no change for Orient in the points difference to the bottom four as that remains at 9 points. Despite the loss the omens are looking up and Orient will simply be looking to consolidate for the remainder of the season. Edinburgh has bought in a hunger that was missing and a solidity in the back four that just hasn’t been there for well over a year. So you could say this is just a blip in the recuperation of the O’s and Edinburgh seems to be the right man to lead them back to better days. So despite the loss it’s a Happy New Year for Leyton Orient who showed tremendous guile in a game they played almost entirely with ten men. Fancy a bet on Leyton Orient then why not checkout EnergyBet website.